4k00:23Running woman in autumn forest. Woman jogging on fall leaves in slow motion. 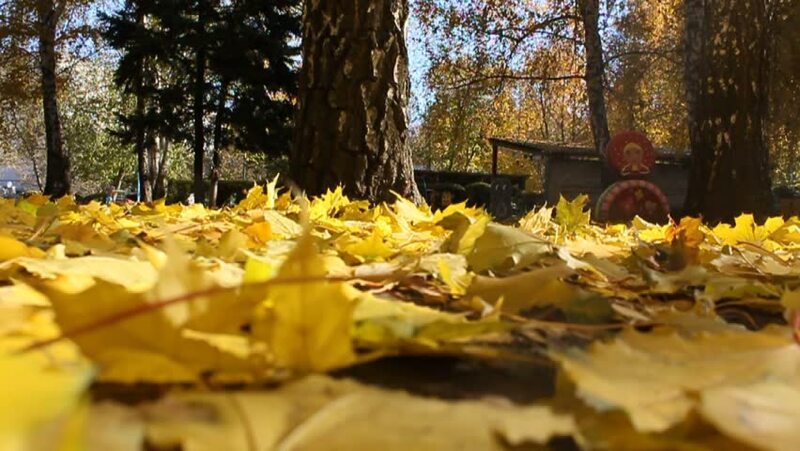 4k00:09Worker Collects Yellow Fallen Leaves in the Autumn Park using a Rake. A pile of leaves on green grass. Janitor Cleaning leaves on the street. hd00:25People in a city park on a nice autumn day.